Now everyone is wondering and searching for a solution. Are there solutions that can avoid deleting music albums, pictures, videos or uninstall favorite apps? Is there a way to avoid this without having to lose anything? The answer is with G Cloud. G Cloud uploads all your music, videos, photos, contacts and more to a secure cloud, so you do not have to worry about losing anything. It even goes a step further with Clean up My Gallery. This will automatically remove photos and videos that are already saved in the Cloud without any intervention. 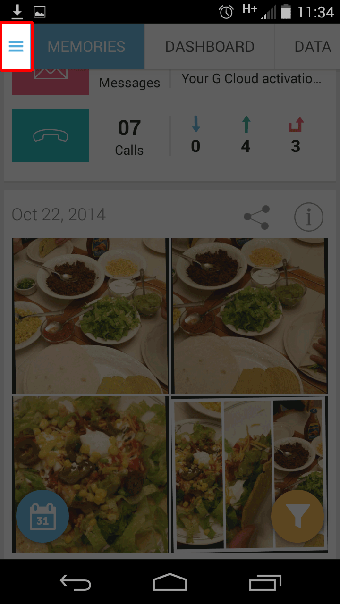 How to Enable Clean up My Gallery? Open G Cloud app and tap the Menu icon ( ) in the top left corner. 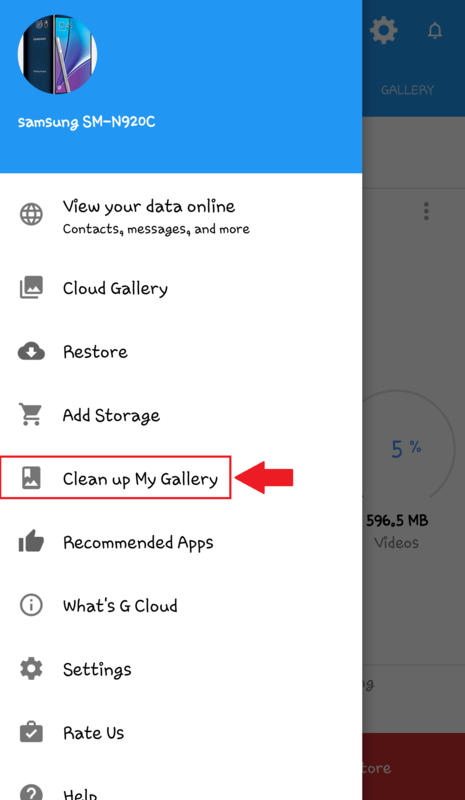 Tap on Clean up My Gallery option. 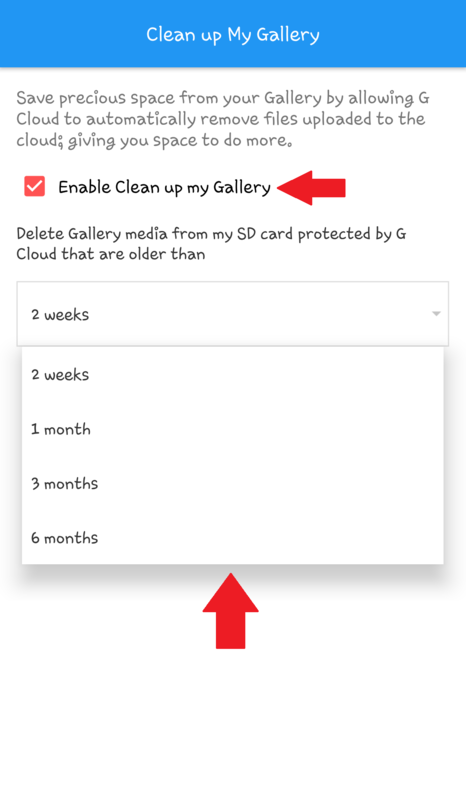 Select the Enable Clean up My Gallery option and specify for how long you wish to keep videos and photos on your phone before deletion.